VatorNews | How does Quizlet make money? How does Quizlet make money? If you talk to EdTech companies, they'll very often tell you that they have a deeper mission than just providing a service. They see their solutions are the great equalizer, providing for even the poorest and least well off the opportunity to gain skills and knowledge that would otherwise be out of reach. Therefore, it stands to reason, that these companies cannot make their money by charging their users. If the mission is to reach even those without means, requiring them to pay would do the exact opposite. Quizlet has found the perfect medium by providing a freemium business model. It's free to all users, who will see ads on the platform. Those who do want to pay are able to either to get the same product ad-free, or to get access to premium features. “The platform is free. 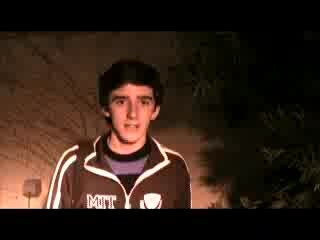 Anyone can come onto the platform of any age, of any language, any skill, and study the information on the platform. Then we do have a paid subscription offering that gives users access to some additional features. So it’s a freemium-based product and if you upgrade to the Plus version for students or the Teacher version for instructors, then you get access to some additional features, some more advanced creation tools, some analytics and reporting, that sort of thing," Matthew Glotzbach, CEO at Quizlet, told me in a recent interview. 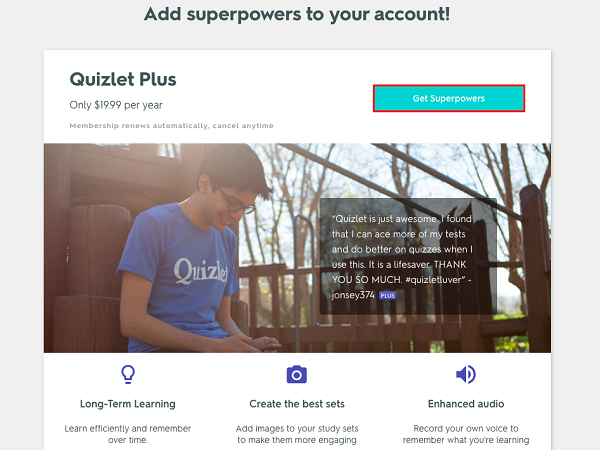 Quizlet Plus is the premium offering for students. It allows them upload their own images, record custom audio with Voice Recording, create diagram sets with as many points as they want, study over time with Long-Term Learning, create unlimited classes, get Quizlet ad-free and to choose from a variety of flashcard themes on the iOS app. It costs $19.99 for a one-year subscription. Quizlet Teacher is, as the name suggests, the premium service for educators. They can track student progress, add images and record their own voice on study sets they make, create their custom teams, create groups with an unlimited number of classes and add an unlimited number of locations to their diagrams and unlock custom shapes. It's also add free. It costs $34.99 for a year subscription, but Quizlet also offers discounts for group purchases, giving teachers a 20 percent off discount for 2 or more upgrades and 25 percent off for 50 or more. In August of last year, the company also announced Quizlet Go, which is like a pared down version of Quizlet Plus. It costs $1.99 a year and allows users to view an ad-free version of the plaform, while also accessing some premium themes, which allow users to customize how they want their flashcards to look. They can pick from three free themes, or unlock seven premium themes with Quizlet Go. 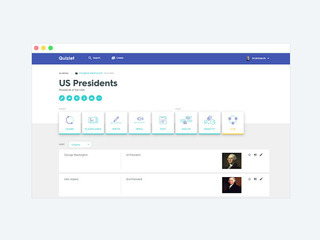 Founded 10 years ago, Quizlet acts as a digital study group, allowing its users to create their own courses in any topic or subject, which can then be viewed by other users for free. Originally started as an online flashcard app, the platform has expanded to offer a number of different study activities, study games, learning tools, to help people learn. The company says it is the largest online consumer learning platform in the U.S., with over 30 million monthly active users, and over over 200 million study sets worth of content, which translates to 8 billion pieces of information. It's used by one in two high school students in the United States and one in three U.S. college students. Earlier this week, Quizlet raised $20 million, bring its funding total to $32 million. Quizlet is an educational software company. Quizlet.com is a site where users can enter vocabulary they want and are given tools (e.g. flashcards) to study them.